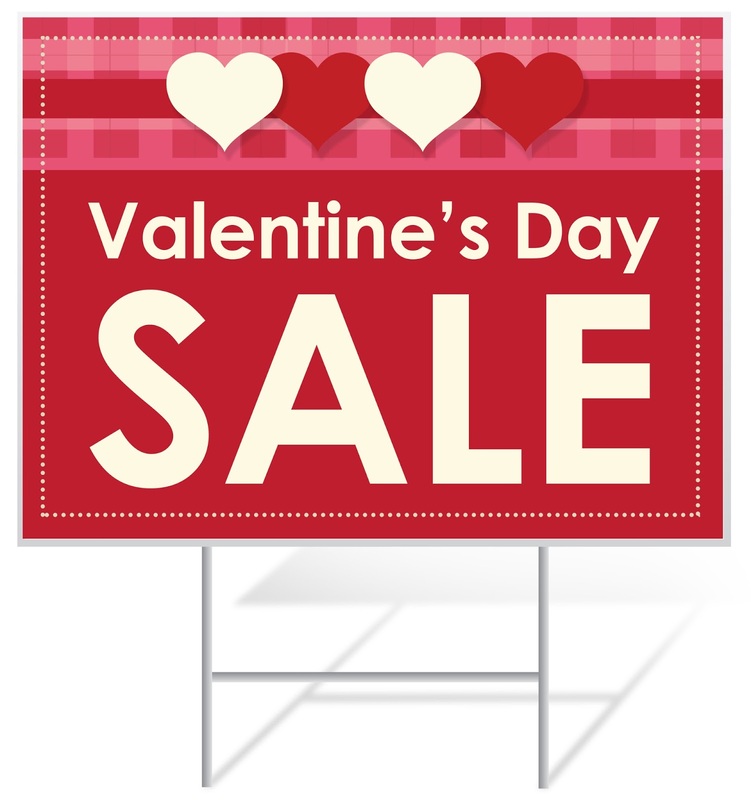 If you are having a Valentine's Day event, make sure you let people know by advertising with banners and signs. Some common Valentine's Day signage uses include 5K or 10K races, food specials, flower sales, chocolate sales, and just wishing people a Happy Valentine's Day. If you are looking to propose to your loved one on Valentine's Day, you can get a custom "Will You Marry Me" banner printed too! Vinyl banners are printed on a high quality 13 oz vinyl banner material. This material can be used indoors or outdoors. To get started on your banner order, visit our Valentine's Day banner page. Yard signs are printed on a 4 mm corrugated plastic material. The material is lightweight and water resistant. 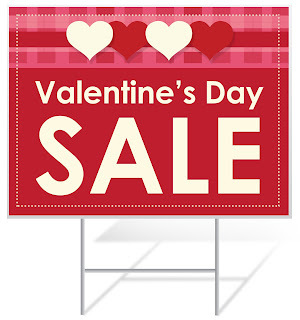 To get started on your yard sign order, visit our Valentine's Day yard signs page. At Banners.com, it's easy to order your signage online. You can customize a Valentine's Day template in our online designer, upload your print ready artwork file, or work with one of our graphic designers.